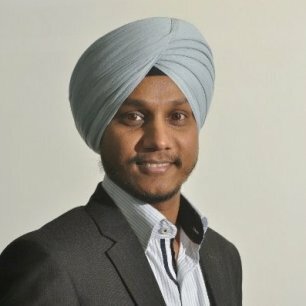 RP Singh is a digital marketing specialist with over 14 years of digital and new media experience of working in APAC & Middle East. In his current role as Chief Executive Officer of Sirez Group, RP looks after 6 companies under Sirez umbrella viz. Sirez, Kontent Cafe, Squarecoins, MRP Digital, Apptology and Sample&Try. He has experience of working with leading media networks like WPP and Starcom MediaVest Group. During his professional journey, RP has served organizations such as GroupM, Starcom, Ogilvy, Trident Group and Smile Interactive and has worked on brands like P&G, General Motors, Amex, Diageo, Qualcomm, Nokia, Lufthansa, Pepsico, Economist, British Airways, GSK, Tourism New Zealand, HSBC, Ford, Perfetti Van Melle, Akzo Nobel, Apollo Tyres, GE Money and Hero Honda among others. RP believes that Digital is just a mindset change, which every marketer should undergo as early as possible in his career, there is nothing special about Digital Marketing which anyone can’t learn. Digital is not about technology, rather it is about consumer. RP has trained over 2,000 marketers so far as a trainer in Digital Marketing. RP has successfully launched Asia’s 1st Content Marketing Conference in India known as CMS Asia. He is the lead trainer for afaqs Campus, a digital columnist on ClickZ, an active blogger and a visiting faculty at leading B Schools.